Spread of World Wide Web has helped many communities and travel blogging could be one of the most benefitted communities due to the extensive growth of internet medium. The immense growth of travel blogging can also be attributed to the emergence of better infrastructure facilities. Ensuring security of your remote connectivity is one of the most important concerns while you are on the move. This is particularly true if you are using VPN, public net cafes, Wide Area Network, or any other network that may be accessible to hackers. Virtual Private Network or VPN is a privately operated network built by leveraging an infrastructure that is publicly owned such as public telecommunication platforms. 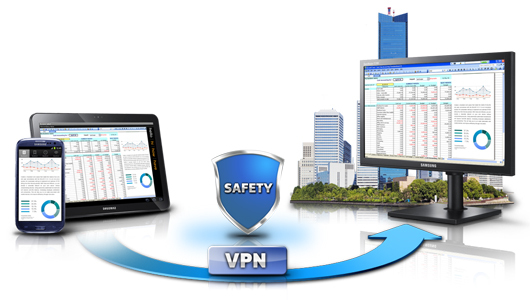 VPN can be secured by ensuring high end security measures including encryption. VPN is usually preferred over Wide Area Network due to cost efficiency. One should understand that a VPN uses public internet connectivity and therefore there could be multiple security threats. If you are using a Wi-Fi hotspot in a public environment, you need to ensure that the data is securely encrypted to prevent unauthorized access or intrusion. Hackers are extremely competent in stealing passwords over unprotected networks. There is every chance that the router being used for a particular network may be vulnerable and unsecured. Using Wi-Fi networks can also be risky in spite of being password protected. Data theft is very common while your data is being sent over the network. Hence you should find better ways to ensure security of your login credentials. You will come across a plethora of net cafes in some countries including Thailand. These joints offer internet services by enabling use of public computers at dirt cheap rates. However, these are the most vulnerable places in terms of security and your password details can be easily hacked by street smart hackers. Ideally, one should try avoiding these. If there is no option, then you must use the virtual key board offered by some of the service providers. You can land into extremely uncomfortable situation in foreign country if your account is locked. It is very common for frequent travelers to their find PayPal accounts getting locked due to user login attempts from overseas countries. Internet security measures initiated by certain banks are also programmed to trigger automatic lockdown systems if the user is trying to access account from a country IP. It is found that such instances cannot be avoided in spite of notifying the bank about your travel plans. Virtual Private Networks allow travelers to use IP of home nation to obviate such issues. It should be noted that viewing of video content from certain sites may not be permissible from specific countries. Similarly many websites are banned by certain governments. The most ‘burning’ example of this is firewalling initiatives by the republic of China. You can easily confirm if a particular website is prevented from accessing if you are going to China by visiting GreatFirewallofChina.org. The censorship is also due to the action taken by countries against websites for posting objectionable content. Virtual Private Network is essentially a networked arrangement of computers over the Internet. It is most commonly used by enterprises to connect data centers that are positioned in remote locations. VPN can also be used by travel bloggers to access networking resources even if they move out of Local Area Network. It is a great solution to impart seamless security and encryption to their communication while on suspicious public networks. Virtual Private Network can be accessed either from your local machine or by visiting specific website from any other computer. After verification of security credentials, you can enjoy an encrypted communication that protects all your communications from hacking or intrusion attempts. Travel bloggers can be significantly benefited by using VPN. It allows unrestricted access to websites or web content irrespective of the country from which they are browsing. They can watch their favorite game shows, TV serials, news channel and use payment gateways without bothering about the political, geological, or political issues. If you are on the lookout for a Perfect VPN, then you need to dig deeper into various features and facilities offered by the service provider. Although the price may play an important role, you need to look at the location of server, connectivity protocols, and exit locations just to name a few. Exit locations are important to specify if you are going to use VPN in foreign countries. Ensure that VPN servers are positioned in countries of your interest. Ideally, you should also check the logging policies of service provider to be on safer side. VPN is an ideal security solution for globetrotting travel bloggers who can enjoy unrestricted browsing without any hassles.